"Eric Hosmer #35 of the Kansas City Royals runs the bases after hitting an RBI double against the Baltimore Orioles during the first inning at Oriole Park at Camden Yards on July 31, 2017 in Baltimore, Maryland." Baseball is quickly nearing the end of the season - and that means a push to make the post season. Performances on the diamond are becoming crucial with every swing and catch. These plays can make or break a chance to make it to the World Series. On the last day in July, I found myself documenting the Kansas City Royals taking on the Baltimore Orioles. Like the players, I wanted to elevate my game and try to be as different as possible. This meant taking early risks in the game to create a different image than those also documenting the game. 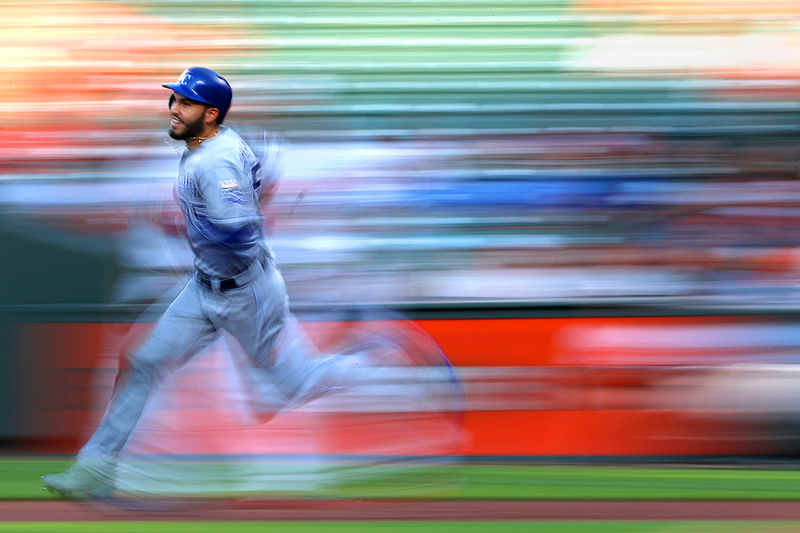 A slow shutter speed helped me achieve that as Eric Hosmer almost hit a home run as he hit an RBI double in the first inning.